4.6cm in width (across handles), 11.8cm in length. 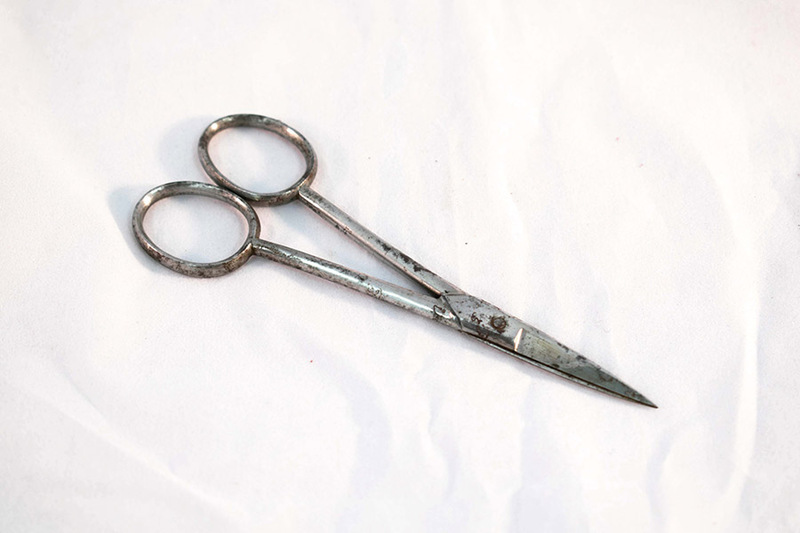 “Pair of surgical scissors,” Heritage, accessed April 23, 2019, https://heritage.rcpsg.ac.uk/items/show/317. 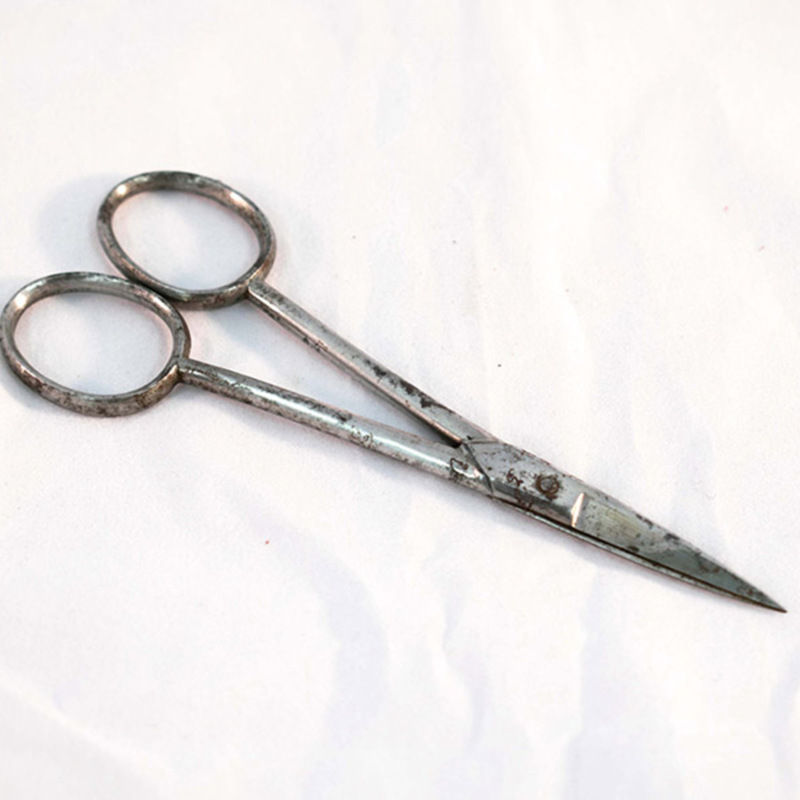 Description: Plain, sharp-pointed surgical scissors.